One of the major concerns for a vegan or vegetarian when travelling to Vietnam or anywhere in the world is if their will be enough easily accesible vegan restaurants for them. Saigon vegetarian restaurants can be found all over Ho Chi Minh City making it very accessible to the travelling vegan or vegetarian. Did you know that over 7% of the population of Vietnam is Buddhist? That means there are alot of vegan restaurants and vegetarian restuarants serving saigon's vegan population. Vegetarian Restaurant Ho Chi Minh City are probably some of the tastiest vegan food options out there for vegetarian tourists. If you are looking to enjoy Vietnamese classics such as Bun Bo Hue, Pho, Banh Canh, and more enjoyable Vietnamese dishes known all over the world then you are in luck. Saigon's Vegetarian population would not accept not being able to eat their favorite dishes on a regular basis. In these classic dishes, the bones used for broth are replaced with mushrooms. The meat inside a dish like Pho is replaced with tofu, giving a surprisingly meat like texture that is a pleasent replacement for vegan customers. We serve vegetarians on our Taste of Vietnam and our Big Eats & Small Seats Tours every day. We know how important it is for Vegetarian and vegan travellers to find some delicious local food that caters to their lifestyle. Our goal as always is to provide travelers with the best spots for various Vietnamese street food or activities here in Saigon. One that was probably requested the most was a Top 5 vegetarians restaurants in this city. Finding 5 places for great vegetarian food in Ho Chi Minh City was not too much a challenge for us, and more an excellent opportunity for delicious food. 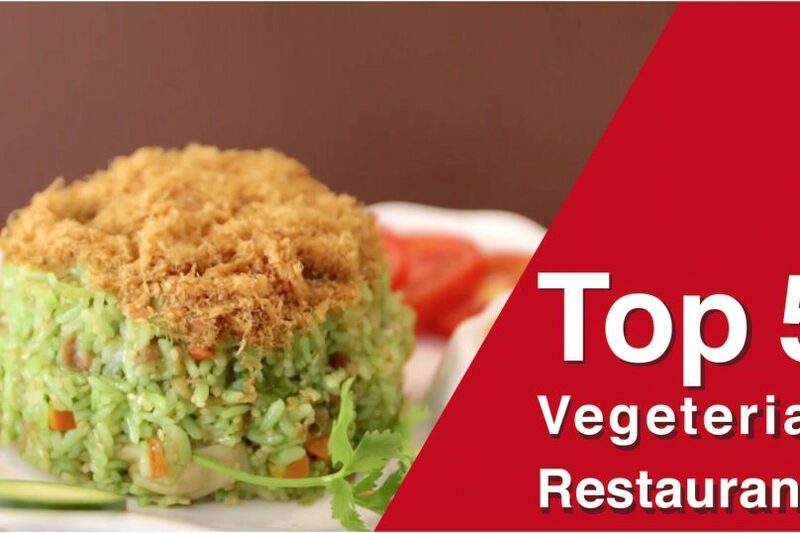 Below is our video with the Top 5 Vegetarian restaurants in Saigon, scroll down below for the list of addresses to the top Vegan Restaurants in Ho Chi Minh City! #1 Hum, 32 Võ Văn Tần Street, District 1. Have you tried any of these restaurants? which one was your favorite ? Let us know in the comments below!